First, sorry that I'm unsure of my weight/body fat % but I don't think it matters for this question anyway. I'm not sure if I'm using the right technique when doing press-ups (push-ups). My shoulders and arms hurt which I guess may be normal, but my chest never feels sore. I thought it would giving that press ups are predominantly a chest exercise. I tried adding weight but it just made my arms/shoulders hurt more and not my chest. Am I doing them incorrectly? Can the muscles grow bigger even when the chest doesn't hurt? You exhibit the classic posture problem many other people have. You may be surprised that your problem of not being able to work your chest properly while performing push-ups is most likely your posture. 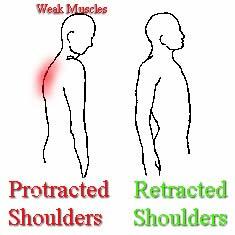 If the muscles in your upper middle back are weak, your shoulders wont be able to properly stabilize in retraction. This means when you perform push-ups you will be primarily using your anterior deltoids (front of shoulders) and triceps. Read about muscle imbalances and you can learn why you need to work on your pecs flexibility as well as the strength of your scapular retractors, primarily rhomboids and lower/middle Trapezius. As far as exercise form. If you are looking to work your chest with push-ups you must have a wide hand stance. Your elbows should be far out to the side and not in towards your body. Start with your chest on the floor and make sure you go through as full a range of motion, preferably touching your chest towards the floor each repetition. 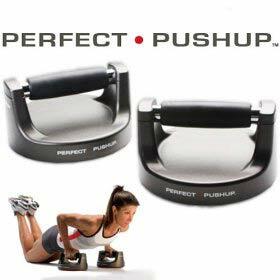 Another option is to get push-up stands or perfect - push-ups. These elevate you above the floor and allow you to get more range of motion, stretch your pecs and work more of your pecs muscle mass in the process. Muscle soreness does not necessarily mean your muscles are getting worked and definitely does not indicate if you will gain muscle. If you don't think your pecs are growing because of your inability to recruit them work on your posture and muscle balance as well as exercise form. If you are recruiting your chest muscle fibers and not gaining muscle, it is problem with your diet. Read about muscle building diets.